So you want to know ‘how to become famous’? That is something that many people aspire to do yet most people don’t realize that like anything else, becoming famous will take a good amount of work and dedication. You may say to yourself… How do I become famous? Where do I start? The answer depends on what your talents are and where your ambitions lie. Do you want to be a famous actor? Maybe you would like to be a famous model or even a singer? Each one has a different path to follow yet all those paths will start by getting your foot in the door in some way. If you want to be famous for your acting then you need to get started in acting classes where you can get some skills built up and some direction from your acting teachers. The classes will help you build a resume to get you some parts in small productions. Once you have a fair amount of training and experience you can begin your search for an agent who will help get you into the door for auditions in larger projects. If you want to be a famous model, you must assess what kind of model you can be. I do not mean what kind of model you want to be. Modeling has physical standards and physical specifications such as height and weight. No matter how cute you think you are or how perfect your fiercest walk may be. Unless you meet the physical criteria, you have no chance of being a famous fashion model. For example, most high fashion models are 5’8″ or taller and a size 0 to 4. If you meet the height but not the weight, you still have a chance at runway by being a plus size model. Not 5’8″ but still dream of being a model? You can still model as a commercial model. Commercial models are what you see on websites, in catalogs and other places. Unfortunately, you probably will not become famous as a commercial model because no one ever really knows the names of the models that cover the pages of the Sears catalog. How about becoming a famous singer? Just as the other entertainment fields you will need to get your foot in the door and have the right connections before becoming famous. Plus, if you want to be a professional singer, you had best the the voice to do it. Yes, we know, not all singers have a great voice and there are some famous pop stars who aren’t all that great. But they are the lucky ones who, well basically, lucked out in some way or knew someone who got them in. Most singers will not be that lucky and will have to have a great voice to make a living of it, much less become famous from their singing talents. Great singers aren’t born, they are trained. For anyone who wants to be a famous or professional singer, they must realize that they will most likely need voice lessons first. So hopefully with some skill, some networking, some experience, some training and a whole lot of luck, you will find your way to stardom and realize your goal of learning how to become famous. And hey, if you are not willing to put in all that work, there’s always reality TV! Hi my name is Serena. I’m 5’4 and 11. I’m 150 pounds. I want to sing. I have my own youtube account. I love to sing 24/7 and I love music. I have blonde hair with faded pink. I got bright blue eyes. If you give me a chance I will rock the stage! I am 11 years old and 5 foot 2 inches tall. I also have pretty brown eyes. I am from a very small town that no one probably has never heard of before so I believed becoming famous is impossible here. But I have the looks, the talent, and the personality to definitely be on TV someone please help me? Hello my name is krystal. I’m 5/6 130 pounds, got hazel eyes and I’m a true red head. Just putting it all on the table. I have always wanted to be a actress. I can make you laugh, make you cry, probably from laughter. Lol but anyways, I am 100% me all the time. I can be very evil, very sweet, on Q, just try be out and see what you may like in me. My name is Sharon. I’m black with brown eyes and I wear contacts to make them grey mostly. I live in Sioux falls but am willing to move/come there for a visit for my role in any movie or show. I want people to know that TV stars come from everyday people like me. I also want to help anyone follow their dreams. I am chasing my dream right now by applying to be on TV so my voice can be heard. I was the one who didn’t go with the crowd and I tried to make good discussions. I want others to know they could be like me if they try hard enough. Hi My name is Joana, I’m 22 and I am very quick to learn things. I’ve always been interested in acting and can adjust to whatever role I need to play. I don’t have any acting experience but I’m trying to get into theater and acting classes in college. You can become famous through youtube too. But it is not about the fame it is about that you do what you want. I wanna get started as an actress and singer. I already have written some songs. But I need help. My parents love me and believe in me and they trying to help me in my dreaming. I would like to be an actress. I live in Miami Fl. I am in a drama class and have been looking for agents and more. I am 12 and have light brown hair and brown eyes, I am 5`3. I hope I can get an acting career. Thanks. I guess this is kind of dumb but whatever every dreams come true, I’ve been hoping this would happen but I know its out of a million chances not only me but my friend Destiny too. We both dreamed to be singers as partners or in a group with other girls to make our dreams come true. I’ve been singing since 2nd grade up until high school 10th now, singing is my life. I make songs about anything personal deep ones like my friend destiny she also makes her own songs we both made a promise no matter what happens we can make our dreams come true even we fail at more than one time it shows us we just gotta practice but give up cause one day we’ll be that singer inspiring others to follow their dreams no matter what. I play guitar and piano I dance too I’m 15 years old my friend destiny is 15 as well I want her to be singer she has an amazing voice and talent as well she says for me too. I hope with these auditions for the next big thing could help us get there. Thank you for the guys and girls with dreams, don’t give up keep your head held high cause one day your dream will come true trust me “anything could happen” just have faith in yourself, everyone is talented in their own special way. I want to be heard. I don’t want to be that girl that’s always alone at home when everyone else is out having fun. I want to be a singer, a famous singer. Hi my name is Tahlyeah Timmons,I’m black, white, British,and Indian…I have brown eyes, and brown / reddish hair. I love to sing and act, I also like to dance! I really want to become famous someday, it’s my dream, music speaks to me!! Acting feels great because I can just be myself*& really like to show people my moves. I love all of them but the thing is I been auditioned when Disney’s talent search came to okc nd, I had to send them a email at 12:00 so they can tell me if I’m in and they kept saying they didn’t get it. I guess it got declined. Well I just need some words of advice what shall I do. Hi, my name is Sarai (pronounced as Sara) Peterson. 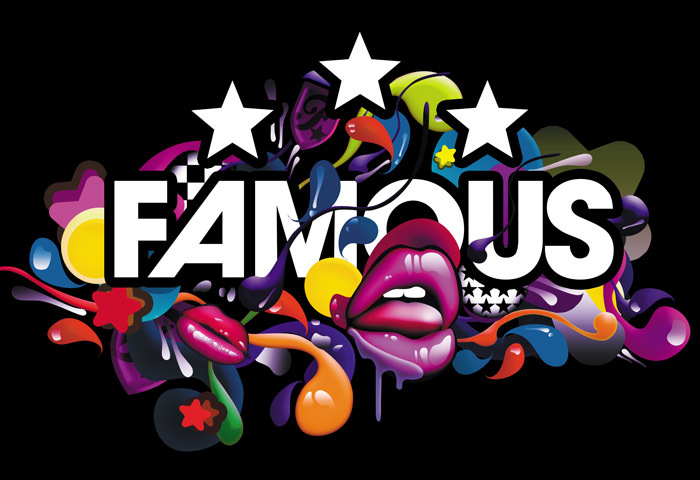 I would like to be famous because it’s one of my dreams. I am a singer and an actress. I love to dance as well. I have been singing every since I was young. I have performed a few times; For a wedding, at a coffee house, for church, and also at school talent shows. I love singing and performing! It’s so much fun. I’m 14 years old and an African American. I’m trying so hard to find a place where I can show my talents, but it’s hard because a lot of other people have talents too. Maybe even better than mine. But I’m not going to give up. I work hard and won’t be a disappointment. Please contact me, or you can watch my videos on YouTube or if this link works, follow this link: http://m.youtube.com/user/saraipeterson98 Thanks! Hi, my name is Anita. My dream is becoming famous! I was thinking of taking acting classes, and singing too. I am Italian, I speak Italian, English, and Spanish. I am now living in central america. In my opinion, I think that if I make a big effort, I could make my dream come true. But, I don’t live in the US and my English can’t be that perfect, my English is great! But I can practice more. The real problem is that I am 14, and I’ve never been in tv, even for commercials, and all artists have been before of getting famous.. I don’t really know what to do. Please, I ask for some advice. I want to be heard, not be a loner in the back of the class or a loner anywhere. I want to find out how to become famous. There must be an easy way. I need someone to tell me where to go or who to talk to that can help me get on track. I do not have any experience or any training but I know I can act as well as all the people I see on TV and on the Disney and Nickelodeon shows. I can do anything I put my mind to and I really want to be famous. Not just for me but for my family as well. I want my family and friends to be able to see me on TV and I think I can do it. I just need help to get started and my family cannot afford to send me to acting classes so I need to know how to become famous without having to take any classes. I also do not have an agent but I want one so I hope someone can help me with that too.